Multiple issues compel us to leave Goldtent and migrate to the new website GOLDTENT OASIS. The current Rambus Chartology site was created by Audept and Fullgoldcrown and now takes up 80% of the current Goldtent (GT)/ Posters Paradise (PP) server usage. It was built without the knowledge of the third Goldtent founder/administrator Wanka, and co-administrators Floridagold and Ipso Facto. While we wish success to Rambus Chartology, nevertheless the development of the Rambus Chartology site uses the GT / PP servers that have been paid for by multiple tent-a-thon contributions from posters such as yourself over the last several years. The Rambus site build began in 2011 and grew over the next few years to take upwards of 80% of current server usage. This was done without our knowledge or approval from 2011, 2012 and into 2013 when we first discovered this clandestine use during the last processor upgrade in May of 2013. Further, Rambus paid no fees for said usage, which means that as contributors to PP tent-a-thons, your donations for 2011, 2012 and into 2013 went to support the build out and profits of the Rambus Chartology site. We find this to be a breach of faith and goodwill to Poster’s Paradise supporters, as the Rambus Chartology site as we all know is a monthly subscriber paid for profit site with Audept and Fullgoldcrown principals of the site. We believe that this was both unreasonable and especially DISHONEST. For this reason, we have chosen to offer an alternative website where views can be shared similar to the Poster’s Paradise format, but free from the shackles of a webmaster (AuDept) that in addition refuses to support the technical aspects of PP, and delegates it to the backseat if not the trunk of the Rambus’ site, further preventing PP from future growth as it has been for many months isolated from internet usage for new posters. It is unacceptable to us, as administrators of GT / PP, that we idly stand by being that the tent was created as an individualized and free website. Many of us go back to 2003 – the foundation of the original Goldbugz (GBZ) which evolved from posters of the Gold_Eagle website. We have now developed Goldtent Oasis, which is a continuum of the original Goldbugz (GBZ) website. As many of you know, Goldbugz GBZ in 2007 evolved into GT / PP. It is now our intention to support Goldtent Oasis as it was originally planned, as a free website where ‘goldbugs’ could cohabitate and share ideas and especially unencumbered by any out of control webmaster with dictatorial delusions of grandeur. 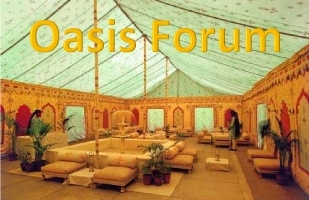 Be free to join us at GOLDTENT OASIS and register with your current PP handle if you please. We feel you will find it a most accommodating site using the latest WordPress 3.9.1 program and formatted similar to PP for your ease of use. Our webmaster, Westontechnologies, is an independent IT wizard and will give us the best of service without doubt. We look forward to posting with you on the OASIS. Please feel free to ask any questions whatsoever about our change of venue. A straightforward, honest and direct answer will be your reply with any supporting information as needed. In addition, we ask that you please forward this email to any tenters that you may have email communication with. We are trying to reach all the active and inactive tenters we can. Our thanks in advance!